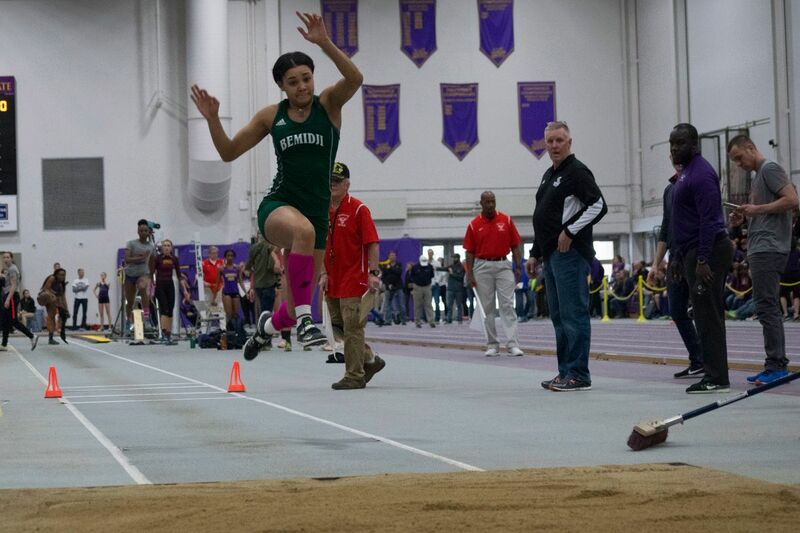 The Bemidji State University women’s track and field team received invites by six student-athletes to take part in five events during the 60th annual Mt. SAC Relays held at El Camino College in Torrance, Calif. The annual Mt. SAC Relays serves as the largest track and field competition in the world with over 13,500 competitors over two weekends and six days. BSU will travel Cheri’A Adams, Jada Barker, Christa Benson, Kelsey Hurley, Venice Stewart and Aneesa Tucker to compete against the top competition in the country. Stewart broke BSU’s 100m dash program record during the team’s last time out at the Dutch Invitational, setting the new school mark with a preliminary time of 12.13. Benson brought home two event wins at the Dutch Invitational, including the high jump with a personal-best leap of 5-feet-02.25-inches and the 400m hurdles with a time of 1:05.40. Fans can follow along with the action at the Mt. Sac Relays, including heat sheets and a schedule, at www.MtSacRelays.com. A full list of results and recaps will be available at www.BSUBeavers.com following the completion of the meet.